Vladimir Todorović is an experimental filmmaker who has always been exploring different landscapes through the personal stories that each individual place could offer. By observing the natural surroundings and of course its inhabitants, Todorović builds his work around them. 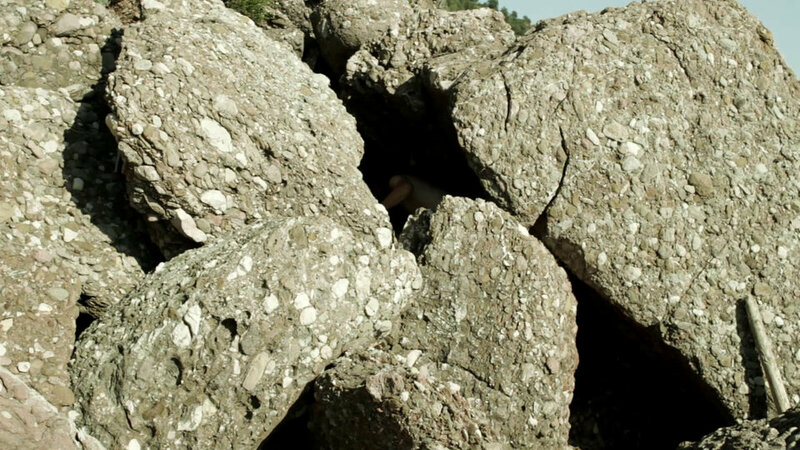 His latest film Krš (Karst) follows his already recognized technique by merging elements of documentary, experimentalism and fiction. Karst participates at the Documentary Competition section of the 21st Sarajevo Film Festival. The story takes place in a secluded and mountainous Montenegrin village. An Italian diplomat decides to build in this karst landscape his dream villa. For that reason, he must meet and interact with the locals as the building of his house takes place. This unexpected and slow-burning meeting will create an amalgam of different cultures that sometimes blend and others compete with each other. This cultural juxtaposition will inevitably lead to a revelation of their real distinctive identities. Like his main hero, Todorović decides to follow his own ambitions by creating a docudrama that could keep in a delicate balance all the key elements of both nature and people. By using one of the roughest natural places such as a karst, the director pushes his story to the edges. Everything should be “filtrated” through the stone and that of course is one of the hardest procedures. As the stone explodes then the memories of the war will emerge. As the stone is cut through then personal stories of separation would evolve. And as the stone brakes and gets sharpened then the cultural conflicts will also astute. There is also another important element that the director exposes in Karst, and that is the immense influence that Petar Lubarda’s art had on his own work. Lubarda is considered one of the most significant post-WWII Serbian painters and he was also born and raised close to the already mentioned karst, also the film is dedicated to him. Todorović tries to capture Lubarda’s technique through his lens and wants to observe his birthplace by using the painter’s prism. His decision offers a retro look to the picture but also explores the region through a lesser expected point of view. The recessed sound will also enhance the picturesque approach that the director wanted to create. The final result gives the impression of a documentary shot in the late 60s which also manages to feel contemporary. Karst is certainly not a film that would offer reasonable answers to the real problems and differences that ex-Yugoslavia tries still to face. It works more as a portrait of today’s Montenegro natural and social landscape, that could also be applicable to other republics. This is the place where tradition blends with modernization, where war traumas coexist with guns, where turbo-folk challenges classical music, where Lubarda tries to meet Caravaggio and where the stone is transformed from a cold, detached and rough material to the heart of your own dreams.